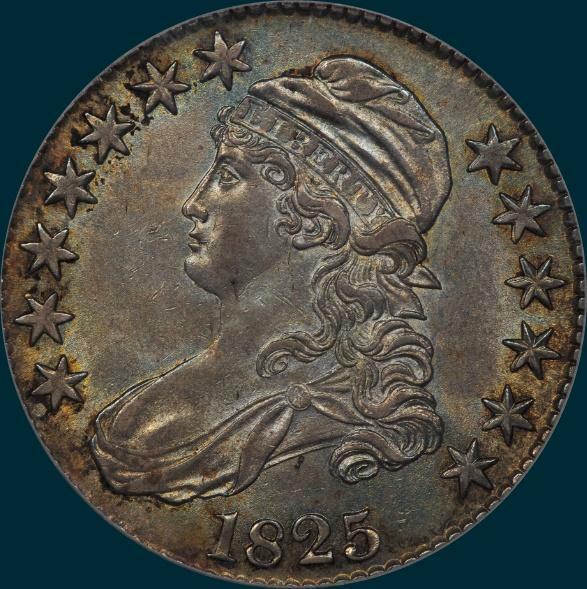 A common variety that is obtainable in all grades and makes somewhat frequent auction appearances. Variety Attribution: Obverse-Star 13 1/2 mm. from curl. Date is 8 1/4 mm. Srtand of 2 is thin, nearly broken where it joins a comparatively thick base and curl has short point. 8 leans slightly to the right. 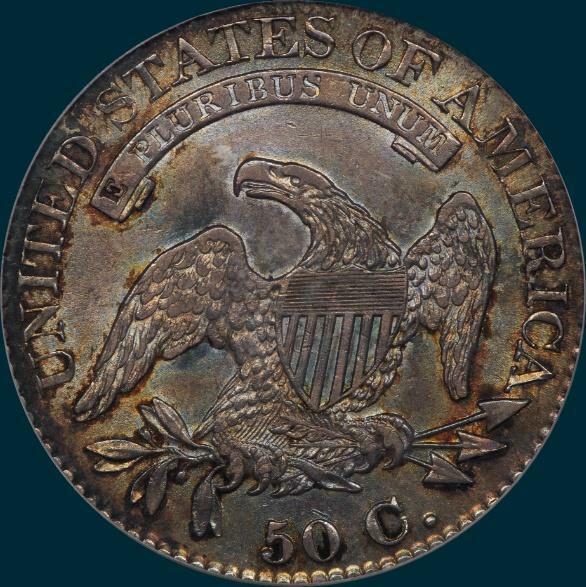 Reverse- 50C is 1 1/2 mm. and rather low. Arrow to A is 1/4 mm. Letters in legend, especially the A's seem extra large, with TAT, AMERI and CA all very close at bases. I entirely left of stand of T. Adie defect line 1 1/2 mm. long connects olive stem and eagles claw on some specimens.